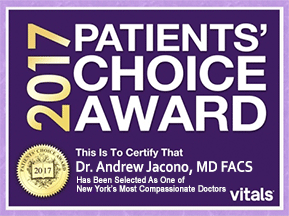 Facial Implants Facial contouring with custom facial implants by New York plastic surgeon, Dr. Andrew Jacono. 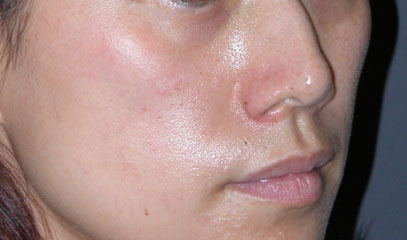 Chin Surgery or mentoplasty and Cheek Surgery are procedures to augment or reduce the chin and cheek bone. Chin Augmentation and Cheek Augmentation are usually performed with chin or cheek implants but can also be performed with soft tissue transfer such as fat transfer (click here for more information) from another part of the body. Chin and cheek reduction are performed by surgical reducing the size of the bone by filing or burring it down. A well defined facial skeletal structure gives balance to the face and is an integral part of one’s profile. 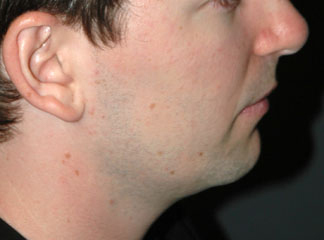 In men a stronger square chin and jawline are ideal. In order to accomplish this, jawline implants which are different than chin implants are performed along with chin augmentation. 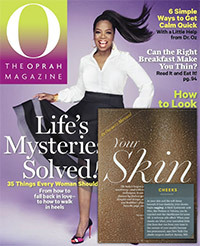 In women a chin and jawline should be balanced and defined but softer and more understated. Cheek implants can provide balance and highlights to a less defined face or further enhance an already existent cheek structure. During your consultation Doctor Jacono will use digital computerized 3-D morphing technology to help analyze your face and set the goals for surgery. When we look in the mirror, we are more likely to take note of the shape of the nose, ears, and the signs of aging such as jowling and fine lines and wrinkles than the chin and cheeks which are the underlying framework of the face. 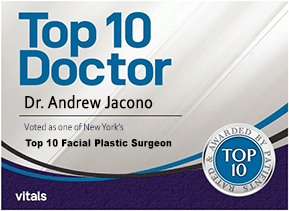 Facial plastic surgeons such as Doctor Jacono always analyze the face as a whole. Often a weak chin and cheek bone structure can detract from the results of a nose reshaping surgery (rhinoplasty) or facelift surgery. Augmentation of the chin and cheeks is sometimes necessary to achieve facial balance and harmony, and create a beautiful face. Chin augmentation surgery is performed through a small incision inside the mouth or in the natural crease line just underneath the chin, and cheek augmentation is performed through a small incision in the mouth. Doctor Jacono gently stretches the tissue, creating a space to where an implant can be placed over the deficient bone of the skeleton. 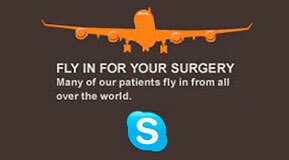 Fine sutures are used to close the incisions, and the scar is usually imperceptible. Doctor Jacono also performs jaw implants which are referred to gonial angle implants to augment the angle of the jaw. This is common for people with small jaws, but also in men because it brings more masculinity and balance to the male face. 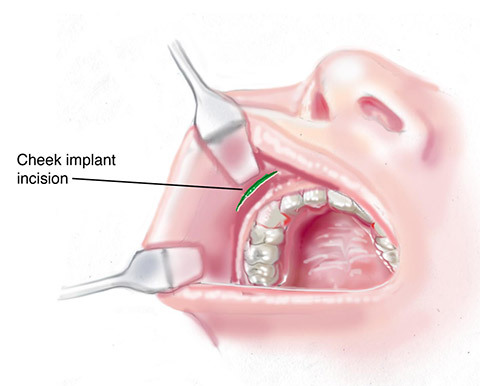 For the jaw the implants are generally placed through the mouth with incisions inside the mouth, further back along the jawline, at the crease where the inside of your cheek and gums meet. Doctor Jacono uses many different types of material for implantation including Silastic, GoreTex, Medpor amongst others, and uses customized implants and not a one size fits all approach. Chin Implant Patient 1: This young man was unhappy with his weak chin. 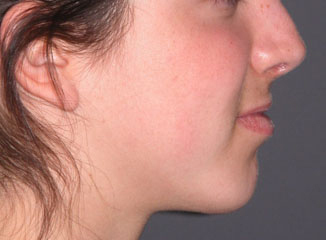 Dr Jacono performed a chin augmentation using a customized chin implant. His after photos shows a stronger more masculine chin and full facial harmony. 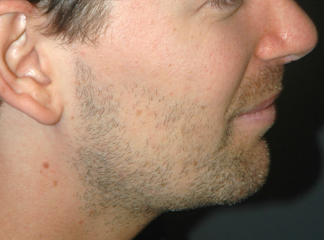 Chin Implant Surgery Patient 3: This man had a weak chin that detracted from his facial balance. By placing a customized chin implant which emphasized a strong and squarer jawline, he looks more balanced and masculine. 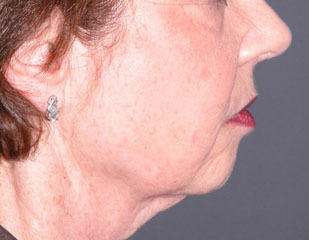 Chin Surgery Patient 4: This woman had a weak chin which emphasized her jowling and drooping neck. 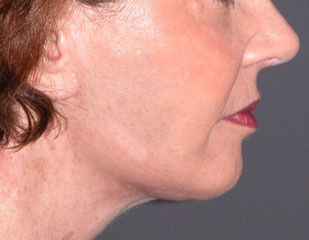 She underwent a customized chin augmentation with a pre-jowl implant to fill in the marionette lines in front of her jowls, and a mini face lift giving her a rejuvenated and defined jawline. Cheek Implant Patient 5: This young woman had a weak cheek structure and wanted to create a more harmonious aesthetic balance and heart shaped face. 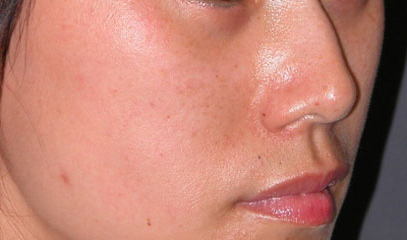 After surgery the cheeks are augmented and natural.